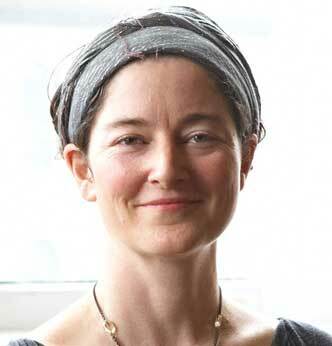 Alicia Barmon is a Somatic Psychotherapist and Yoga Therapist in Frederick, MD. Life is hard. It is also beautiful and rich with complexity. At times, we can find ourselves stuck and overwhelmed, confused and fearful, angry and in grief. It is human to struggle, and we all need support in navigating life’s challenges and healing our wounds. I am a counselor, yoga teacher, Yoga Therapist and Somatic Experiencing Practitioner in Frederick, MD. I offer an integrated approach with the intention of helping you expand your awareness with compassion. From this awareness comes the power to transform. Together, we will explore the thoughts, feelings, sensations and conditioning that create your reality, and with care and humor uncover new possibilities that can help you face the challenges in your life. Many of our struggles are symptoms of living in a stressful, fast-paced world AND an artifact of generations of conditioning. Therapy is an opportunity to slow down and tune in. My intention is to offer a soft place to land in a crazy world. I work with people who are interested in being more gentle with themselves and who long to unearth the trans-generational trauma that operates unconsciously looking for resolution. Some have survived trauma, loss and addiction. Others are attempting to quiet guilt, anxiety and insecurity. While others are exploring questions of sexual orientation, gender and relationship. My approach is individualized, positioning you as the expert of your life and using your strengths to navigate life’s struggles. As a Yoga Therapist and SE practitioner, I offer a mind-body-spirit perspective that helps you connect to, trust and manifest your wisdom. You are encouraged to take what works and leave what doesn’t. I am deeply honored when people open up to me and share their struggles and I am committed to supporting people in their process. The most resounding credential I have is my personal experience as a person in the process of awakening on a planet in crisis. I have spent the past 20 years consciously working on the complexity of being human in these extraordinary times – supported by my exploration of energy, Buddhism and most especially compassion. My personal experiences deeply influence my work as a therapist. My training in meditation, yoga and bodywork help me understand the complex mind/body/spirit relationship that is inherent to healing. Along with my training in holistic psychotherapy, yoga and Thai massage, I am also influenced by my work in women’s health, the Labor Movement, local politics and organic farming. I am a licensed therapist in the state of Maryland and a C-IAYT Yoga Therapist and Somatic Experiencing Practitioner. My undergraduate work was in English Literature and Women’s Studies at Georgetown University. My graduate work, at Lesley University, was in Counseling Psychology with a holistic focus. I have concentrated my post graduate trainings in trauma, Percept Orientation, Motivational Interviewing, CBT, Acceptance and Commitment Therapy, Narrative Practice, Hakomi, Internal Family Systems, Traumatic Dissociation, trans-generational trauma and feminist approaches. In 2015, I finished the advanced training in Somatic Experiencing, a powerful approach that uses the wisdom of the body to heal longstanding and acute trauma in the nervous system. Here is an interview I did with Melissa Groman on traumatic stress, grief and healing. The work of life is to become more fully human – softening into ‘what is’ over and over again. My work with clients is about listening to the ways we talk about our selves and our lives, both somatically, verbally and energetically. Tuning into the body while we tell our stories, provides a subtext that is often the doorway to the state of our nervous system, one of the places trauma gets stuck. In addition to our body’s negotiation of stress, are the ways we narrate ourselves verbally. I find that most of us are stuck in unkind beliefs about who we are. Unexplored beliefs and their corresponding feelings, sensations and behaviors leave us living our lives unconsciously- or in a place of reactivity where we abandon ourselves over and over again. By bringing “kindfulness” to our thoughts and feelings, we can shift old ways of being and embrace ourselves with respect and kindness. This awareness is the portal to making peace with our selves and coming home to our bodies, befriending all of our parts with the hopes of eventually allowing for integration. My work as a Yoga Therapist and bodyworker deeply informs my approach as a psychotherapist. While talk therapy has a critical role in healing, I believe that working with the physical and energy bodies furthers our capacity to honor our truth and live from a more integrated place. Because we are acculturated to override the heart and belly brains, we miss life promoting information in the form of sensations and emotions. Our thought obsessed culture, invites us to ignore the myriad signals of the bodymind. Taking the time to slow down and orient to the physical and energy bodies, can be life changing and in some cases life saving. Somatic Experiencing is a powerful modality that works directly with the nervous system. A healthy nervous system pendulates between sympathetic and the parasympathetic with relative ease. We know we are working with traumatic stress when the nervous system gets stuck. Trauma is defined as an experience that overwhelms the nervous system. Chronic fight/flight/freeze results in symptoms that manifest themselves somatically like physical pain, sleep issues, disease, anxiety and depression. Chronic fight/flight/freeze can also manifest as beliefs around worthlessness and helplessness. Trauma healing comes from finally completing an experience that in the moment was truncated, be it emotional (like crying) and/or physical (like running). The initial moment of pain may have become so overwhelming that we make a subconscious decision to ‘check out’; in other words, we freeze. Every part of us screams “Stop, I don’t want to feel this!” The problem is that we don’t stop the experience, we just press pause. Even though a trauma may have occurred years ago, it could be playing out in the ways we carry ourselves and our perception of the world. What can help bring the nervous system back to balance is: slowing down and paying attention to the nervous system states that arise, and in particular, orienting to the thwarted self protective responses (like running and fighting) while tending to the thwarted emotional experiences, and allowing these states to come into completion. Once completion is integrated, new possibilities emerge sparking energy for healing and change. Early developmental trauma is an epidemic in American culture in part because of the medicalization of birth, the dissolution of kinship systems leaving parents isolated and overwhelmed, a misunderstanding of the attachment needs of the infant, and the lack of family leave forcing parents to go back to work too soon. Because this type of trauma happens when we are young and have not formed language, the memories are implicit (not consciously recalled) shaping the way we perceive our own lovability and sense of safety in the world. In touch work, gentle, unobtrusive touch is used to open the diaphragms of the body (the feet, joints, pelvis, shoulder girdle, jaw and cranium in addition to the viscera) with the intention of allowing these places to soften so that the physiology can begin to move. Once the energy is moving, Somatic Experiencing is then used to support the completion of the energy. Touch work is also useful for medical trauma involving the use of anesthesia where memory is impaired. Sometimes we need to process something out loud and get some empathy (advice is offered only when asked). In addition to sessions in my space, I offer walking and talking sessions in Bakers Park or Gambrill State Park at a reduced rate. I hold two slots a week open for Empathy walks. Relationships are hard work: two people coming together from different family systems and different life experiences. In essence, coupling is a cross cultural experience. We all need support in creating a healthy, vibrant relationship that is dynamic, respectful and real. I love helping people learn to slow down and listen deeply to each other. Through my own relationship, I have become interested in the role the nervous system plays in the dynamics that we dance. Inviting couples into awareness of the autonomic responses in our physiology can illuminate the impulse to fight, flee or freeze that under girds our stuck places. Once these impulses are brought into awareness and gently explored in combination with a curiosity about the early attachment wounds and trans-generational trauma that impact our responses, we can begin to do a different dance. The work of Stephen Porges, Stan Tatkin, Dr. Harville Hendrix, Helen Lakelly Hunt and Marshall Rosenberg influence my approach. In addition to using Non-violent Communication and Imago for communication skills, I tend to the neurophysiology underneath the conversation to support co-regulation and self regulation. The combination of communication skills and neuroception creates a dynamic of empathy and joining that shifts seemingly entrenched dynamics. I also offer Yoga Therapy for couples with the intention of supporting empathy, connection and ishvara pranidhana, an opportunity to drop out of psychological time and connect deeply in the vast, abundance of the now. When we can drop into the now and soften into what is, we have a felt experience of okayness offering perspective, capacity and resilience to the challenging dynamics of intimate relationship. Yoga Therapy is a powerful technology because it gives us a lens that sees humans as multidimensional beings offering us additional entry points to work with our stuck places. The entry points consist of the koshas: physical, psycho/emotional and breath layers. I use Yoga therapy to unearth and integrate trauma as it manifests in the koshas. As a Yoga Therapist, I support re-establishing movement, alignment and space in the physical body through breath work, postures, mantra and mudra. The physical practice of breath and movement is particularly effective in loosening and freeing body armor, shifting the body from chronic defensive postures that were adopted in childhood. It can also impact the effects of aging and illness which have resulted in the shortening and thickening of the connective tissues. This stuck quality mirrors the fight/flight/freeze response in the nervous system. So through gentle awakening, softening and strengthening of the tissues, we begin to meet the material that “stuck” us in the first place and move it through. Yoga Therapy also works with prana or energy in the body. When prana gets stuck, disease takes hold. Understanding the way energy moves in the body and how to shift it when it becomes stuck is central to my work. Releasing old beliefs, healthy circulation and digestion, and proper breathing can move stuck energy and promote health. Yoga Therapy is an experiential, collaborative process that prioritizes your needs and follows your lead. It is an opportunity to awaken from the illusion of our separateness and connect to the deepest heart knowing that we are not our thoughts, emotions, or experiences. We are the ocean to the waves of experience. I offer 50, 75, and 90-minute sessions for individuals and couples. Please contact me via email to schedule. I am an-out-of network provider with most plans. Services may be covered in full or in part by your health insurance or employee benefit plan. Do I have out-of network mental health insurance benefits? If you do not show up for your scheduled therapy appointment, and you have not notified me at least 24 hours in advance, you will be required to pay the full cost of the session. Thank you for honoring this request. Please fill out the Informed Consent and bring to your first session.